Straight from the Brussels Auto Show comes the Land Rover Defender X-Tech. Easily as tough as any Hummer or Jeep, the X-Tech is based on the Land Rover Defender – one of the most rock-solid rock-crawlers ever devised. 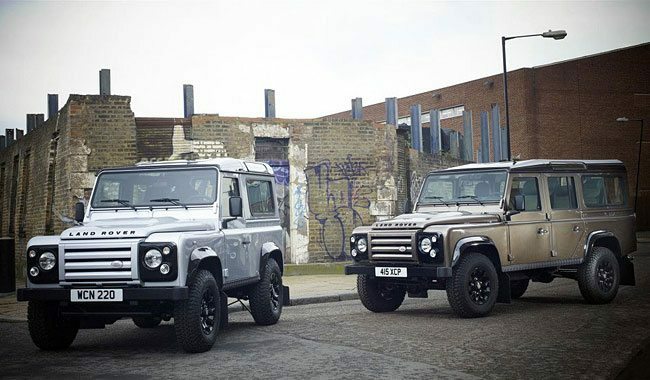 It’s available in either silver, three-door Defender 90 form or in five-door Defender 110 long wheelbase in olive green, both offset by black roof, wheel arches, interior and new “saw-tooth” alloys. Not a major upgrade on the standard model, but just enough to give it the attitude it deserves.